As normalcy fully returned to various public universities in Nigeria following the suspension of the strike action embarked upon by Lecturers and other staff, students and staff of Cross River University of Technology (CRUTECH) have been battling to contend with an anomaly that visits the entrance to their university on rainy days. On such days, Ekpo Abasi roundabout, located near the university’s main gate, is usually almost impassable. Vehicles either wade through water or struggle to drive on a safer of the two lanes in that location. Pedestrians also wade through dirty water, if they must cross the road. Adjoining buildings that mostly accommodate various kinds of shops there, get submerged in water. 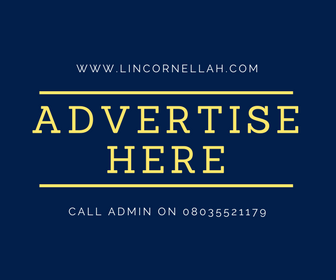 Meanwhile, LinCornellah’s blog has been reliably informed that Lecturers of the university are bracing to embark on a strike action, following unresolved issues such as irregular payment of salaries to staff and non payment of Earned Academic allowances and other arrears. These and other issues are captured in the following document currently circulating in the university. It would be recalled that Dr John Ukam, former Secretary of CRUTECH’s branch of Academic Staff Union of Universities (ASUU), told HIT 95.9 FM Calabar on September 12, 2017 when he granted an interview to that radio station, that CRUTECH may not resume when other public universities resume, after the recent nation-wide ASUU strike. However, the institution resumed with other universities because that strike action was a national action. Reliable sources told LinCornellah’s blog that to embark on a fresh strike action, ASUU CRUTECH branch would need to obtain approval from the National Executive Council (NEC) of ASUU. Procedures for obtaining that permission have reportedly been initiated. increasing prosperity and forging more just, peaceful and equitable societies. Where educational deprivation exists, it breeds conflict and enables repression.